After serving unremarkably in the First World War, the future dictator immersed himself in the German nationalist politics of Munich. 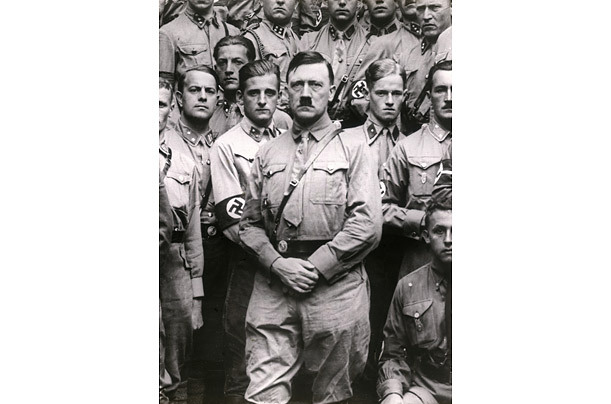 In 1921, he claimed control of the German Workers Party and renamed it the National Socialist German Workers Party, and gave himself the title of Führer. In this 1922 photo, he poses with members of the group's paramilitary organization, the Sturmabteilung, known by its initials, SA.